When Atanta gets hot, you know it's DragonCon time! 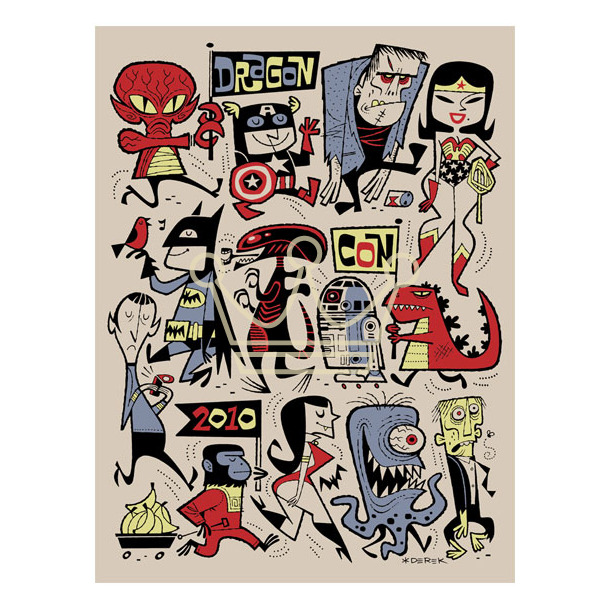 Dig the OFFICIAL show serigraph of DragonCon 2010 created by our own Derek Yaniger! 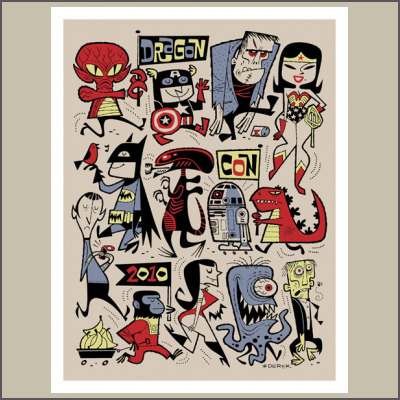 This collectable mini digital print measures 11" x 15" and is printed on heavyweight archival paper all signed and numbered by the artist in a limited edition of 60.